You can watch a performance of the 1989 remix version of "Pop Musik" on Top Of The Pops in the video clip above, with Anthea Turner as the host. 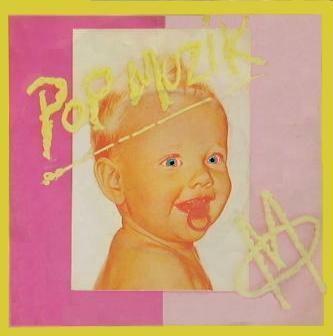 Pop Muzik was originally a #2 hit on 12th May 1979 (#1 in the U.S.) in 1979, but a remixed version released ten years later in 1989 was also a hit, peaking at #15 in the UK singles chart. Fronted by Robin Scott (he went on to work with Ryuichi Sakamoto on two albums) the British band's first single Moderne Man was a total flop, but the second single release Pop Muzik brought brief success, but subsequent singles weren't very successful. The song has been described as the perfect pop song by many due to the combination of simple lyrics, catchy, repeating melody and the perfect choice of subject matter. The follow-up single Moonlight and Muzak (which was also released in 1979) briefly entered the charts, peaking at #33, but further singles failed to break into the Top 40 until the re-release of Pop Muzik in 1989. 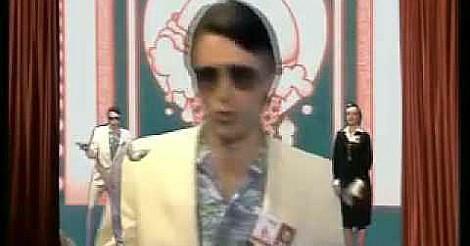 The 1979 album New York-London-Paris-Munich failed to chart in the UK and peaked at #79 in the U.S.